Waking up and feeling sleepier— even after eight hours of shuteye? Does it sound familiar to you? There is some evidence that use of digital devices which emit visible blue light in the evening, may affect the circadian cycle (sleep/wake cycle), and lead to delayed sleep. When artificial light is added to a human’s day, the body’s natural rhythms become confused. The retina can now receive light no matter what time of day it is, so the body doesn’t know when to get ready for sleep. This may be because visible blue light is linked to suppression of the hormone melatonin which makes us feel sleepy. Reducing melatonin makes it harder to fall and stay asleep. 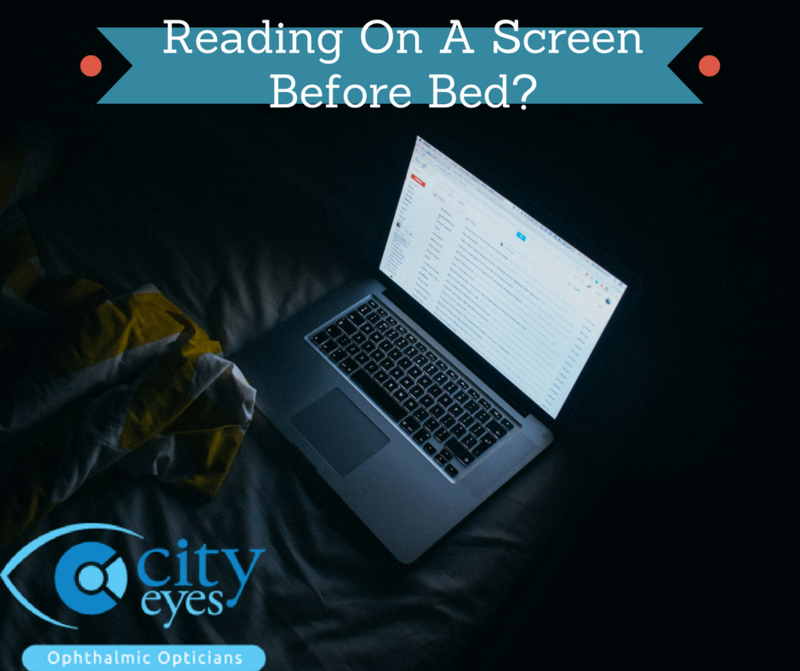 Using screens close to bedtime may contribute to poorer sleep, which can make a person less effective during the day. Make sure technology isn’t harming your slumber, give yourself at least 30 minutes of gadget-free transition time before hitting the hay. Even better: Make your bedroom a technology-free zone—keep your electronics outside the room. If you absolutely, positively must be on your tablet, phone, or computer before bed for whatever reason, there may be a way to make it safer. Try a filter that blocks blue light during night time hours. Have a sight test regularly!